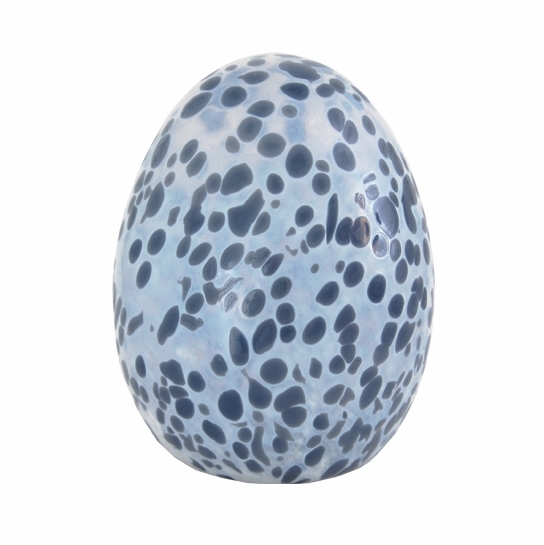 More about iittala Toikka Mistle Thrush 2013 Annual Egg A soothing oval of blown glass, the 2013 Mistle Thrush Annual Egg is quietly breathtaking. Transparent spots of bluish-grey dot the opal background. Slightly clouded glass, the opal hued background was achieved by a technique called fire staining. 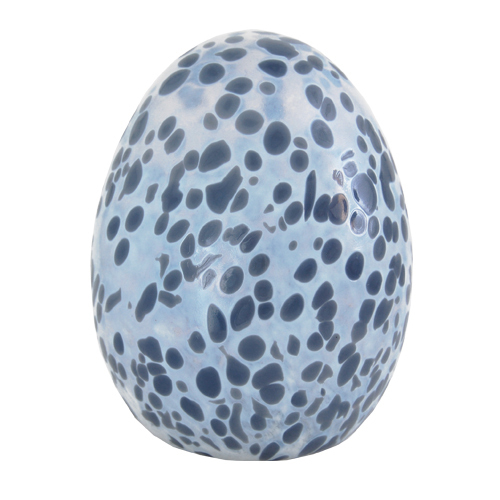 A process reserved for select Annual Eggs & Birds, this method requires extra skill to create a misty-like surface which gives the egg a faint afterglow. Only 750 of these eggs were blown, each numbered.